Out-of-home mobility, that is the possibility for individuals to move and participate in activities outside their immediate home environment, contributes to the overall well-being of older members of society. Private car travel, as one means of mobility, enables seniors to continue leading active, autonomous lives but, at the same time, requires skills and abilities that they may be losing or lacking. The chapter provides a social-interactional perspective into mobility at an older age: it adopts a qualitative research approach, ethnomethodological conversation analysis and draws on audio and video recordings of voluntary post-licence training to examine how older drivers may take up and deal with possibly age-related challenges as they drive in real traffic in real time. 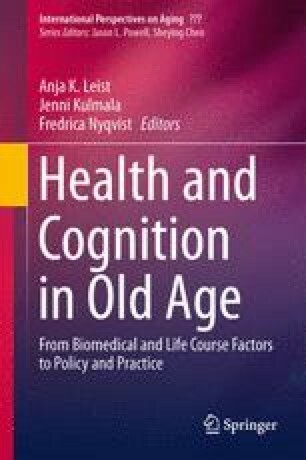 The chapter focuses on a 2-min fragment of such a journey and explores how a potential problem in the driving activity emerges; how it is used as a basis for instruction on the one hand, and for self-reflection on the other; and, finally, how old age as a category is first evoked and then dismissed in interaction. Dr. Rauniomaa and Dr. Laurier are responsible for identifying the phenomenon, analysing the data extracts and writing the chapter. Prof. Summala and his research team collected the data and prepared them for analysis. Prof. Summala also complemented analyses of the video data with observations from additional research material. Rauniomaa would like to acknowledge the Academy of Finland (decision number 251757) and the Oulu University Research Council for granting funding that made the preparation and completion of this chapter possible. Rauniomaa would also like to acknowledge the FLARE programme and fellows for making up such an encouraging and inspiring research community. The authors wish to thank Dr. Fredrica Nyqvist, Dr. Anja K. Leist and Dr. Jenni Kulmala for the opportunity to contribute to the book and the support that they provided throughout the publication process. The authors are grateful to Dr. Tiina Keisanen for providing invaluable feedback on a previous version of this chapter and to other colleagues who have commented on the study on various occasions.